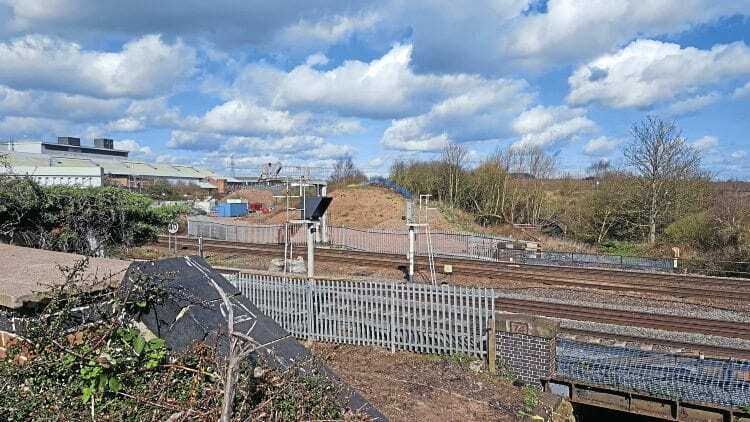 CONSTRUCTION of the 30m-long bridge that will carry the preserved Great Central Railway over the Midland Main Line at Loughborough has begun. This follows the signing of final contracts, land transfer and lease agreements in mid-March. Specialist rail contractor MPB is on site to complete the bridge abutments and prepare the ground for bringing in the bridge deck steelwork. This will be completed off-site. The steel and concrete components will be assembled on site, being craned into place over three consecutive weekends during the late summer. Overall construction time is expected to last around 30 weeks. “Rebuilding this bridge is a bold statement of intent, which secures a vision for the future, where heritage trains can run between Leicester and the south of Nottingham,” said Andy Munro, chief executive of the Great Central Railway.